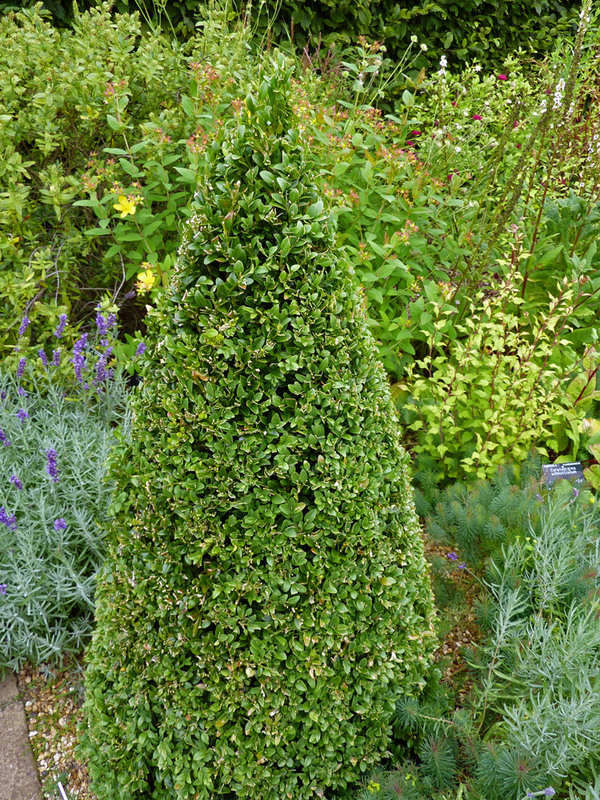 A classic hedging plant used for the most formal of formal hedges, also if you're feeling adventurous, it can be clipped into balls, pyramids. or whatever shape you like. 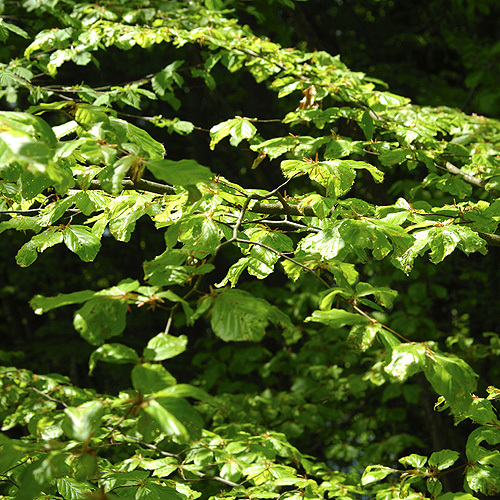 A dense, evergreen screen of small, rounded, lustrous, dark green leaves. 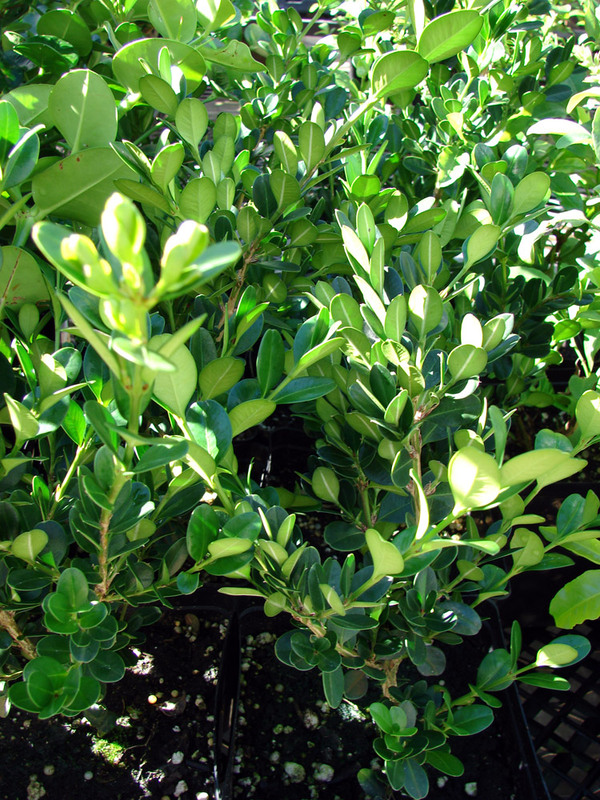 Best with some degree of shade, they will grow in full sun, but this tends to give them a dull foliage colour and scorching. The archetypal plant used as a backdrop to traditional herbaceous borders, knot gardens etc. 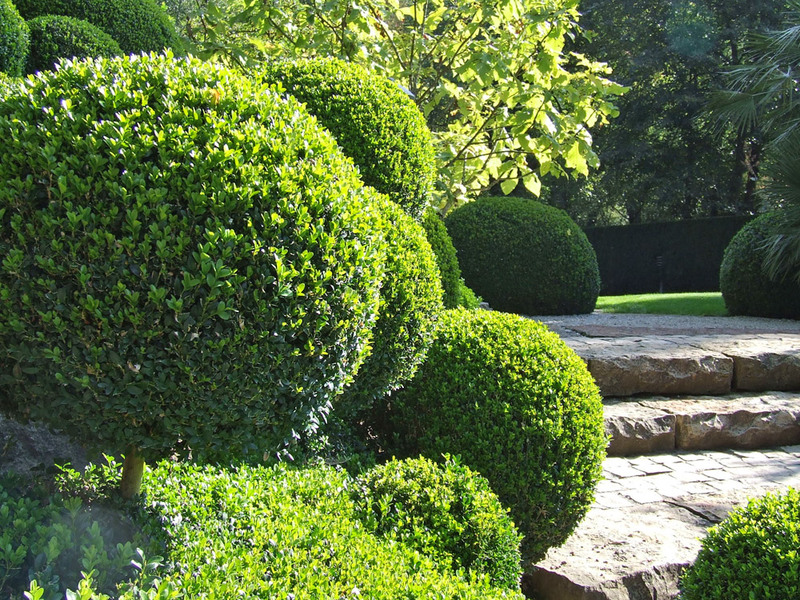 Slow growing, so you'll have to have a lot of patience to get that perfect bright green hedge. Garden care: Ensure that the soil or compost is never allowed to dry out. 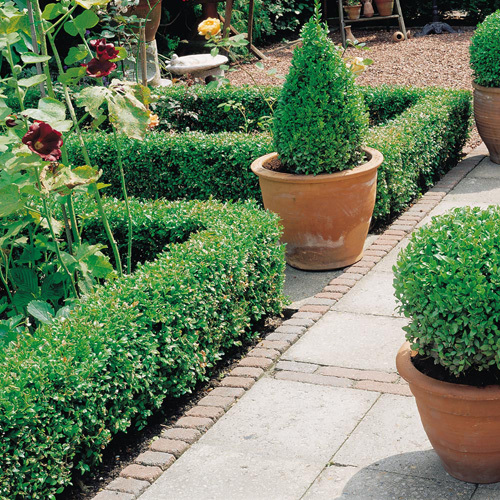 Carefully cut back plants grown as hedges or topiary in mid- or late summer. 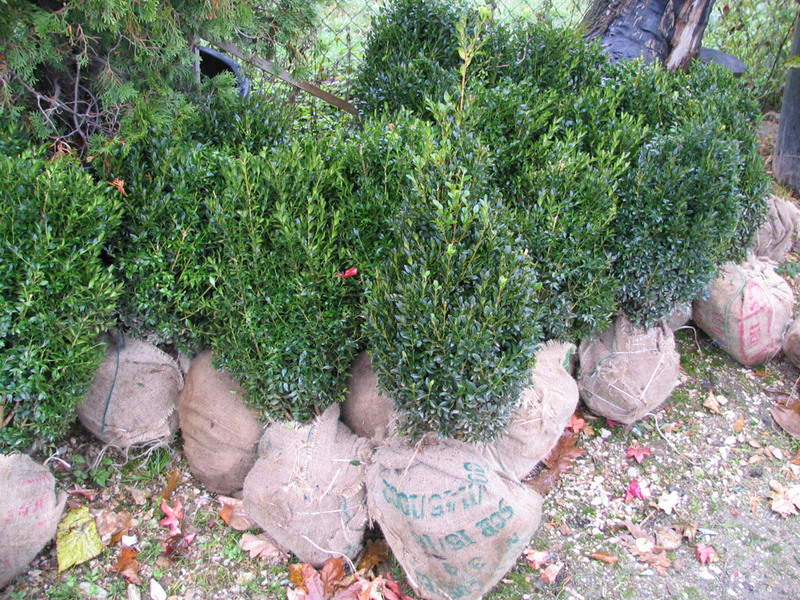 Carry out rejuvenate pruning in late spring. After pruning apply a top-dressing of a balanced slow-release fertiliser such as blood, fish and bone (organic) or Gromore (inorganic) around the base of the plant. 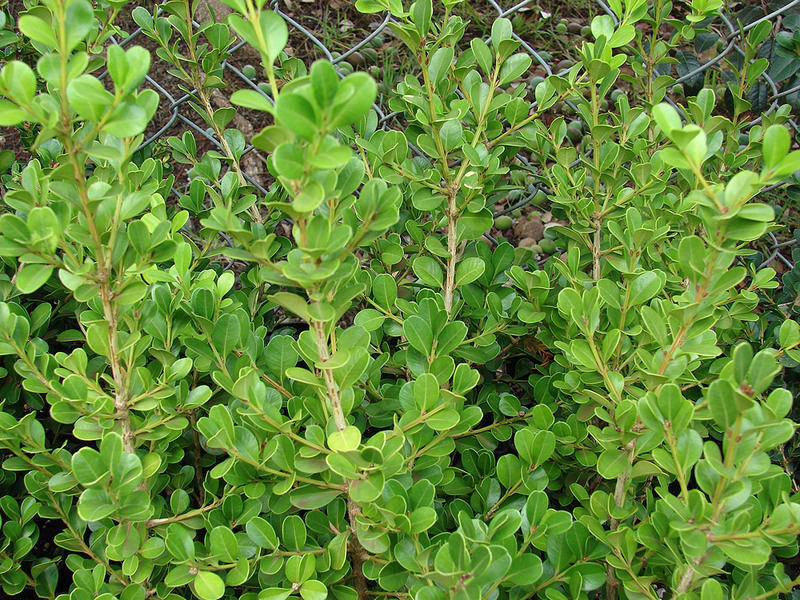 Pruning: Mid to late summer, otherwise cut back any long shoots that are growing beyond the main form of the bush. Cut whole plant back to 15-30cm, 6-12" of ground to renovate. Sometimes branches take root where they have touched the ground, these should be removed or they will spoil the shape of the plant, and can be planted elsewhere. A. Box can do this in the colder months, as long as it's not too widespread or extreme it shouldn't be anything to worry about. I'd move them into a more protected spot for the winter as containerized plants are more prone to the effects of the weather than those grown in the ground.